sometimes I lack of words, today is such a day and therefore I keep things short today. you’re absolutely right, there is only one needle in this socks where there should be two. That is because I’m going to frog them, again – sigh. I don’t like how I can’t see the lace/wing structure of the sides. oh and below you can see what I have in mind. On the left you can see my first sketch and on the right there is the new idea I have, the “feathers” should touch above the calf. We’ll see how well this will work. and right now I’m tinking back 6 rows because I just saw I had forgotton to make a note on my chart for the back of the leg to work every second row as shown. I started wondering why the “olive crown” looks a bit wonky, checked the stitch dictionary and there I am at 11 pm tinking stitches. I’m using the lunch break to read some of my feeds and look what I have found on Drawn! charting and frogging . . .
. . . frogging and charting is what I did the last two days. 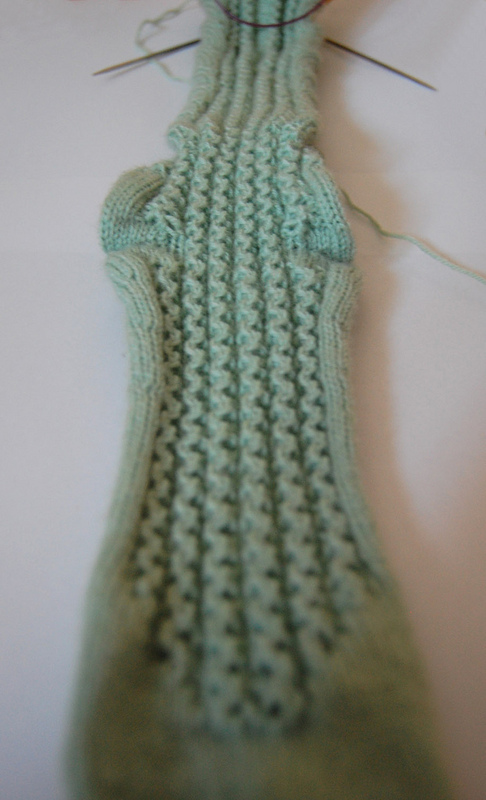 After I made my decision on the main pattern I was pretty sure which stitch to use to border the side pattern, so I casted on, made a lovely little toe and worked in stockinette until the toe covered my pinkies, jumped right into the fun and realized I don’t like the outcome. 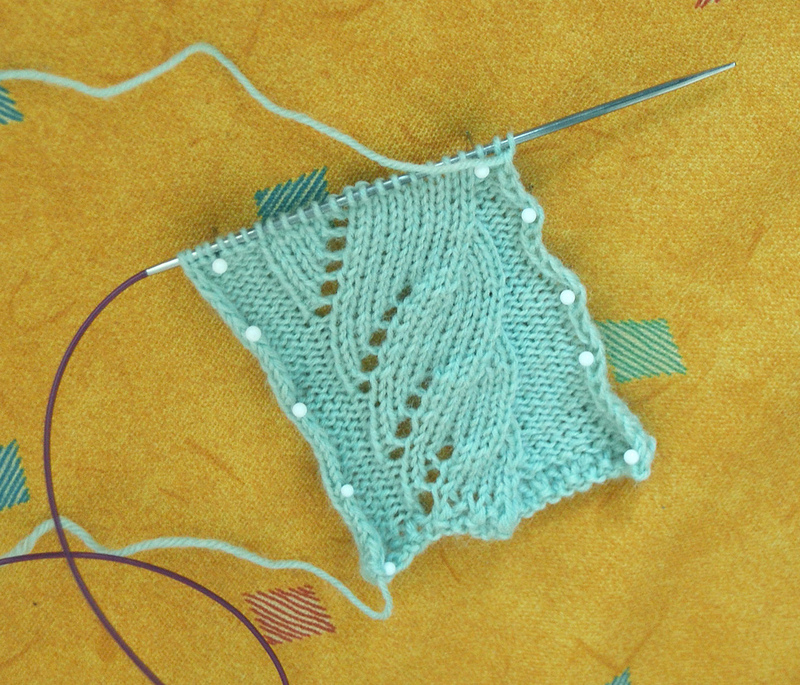 The fabric got pretty stiff, which would have been a plus but the stitch looked awful with the yarn. 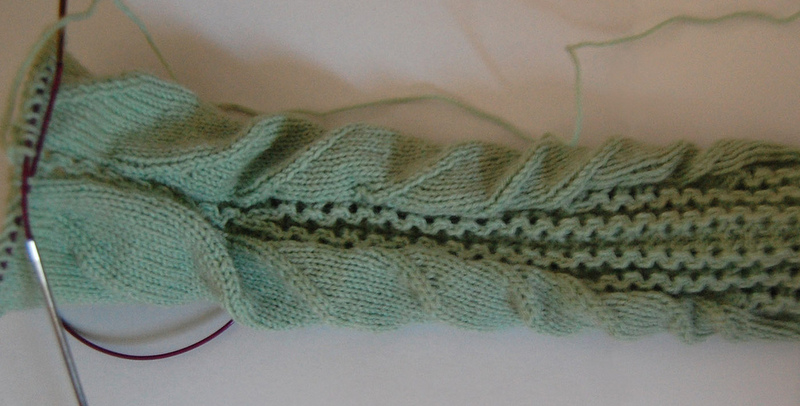 I made little cables (across 3 stitches) that included a yarn over in the center. But this little hole could not be seen. 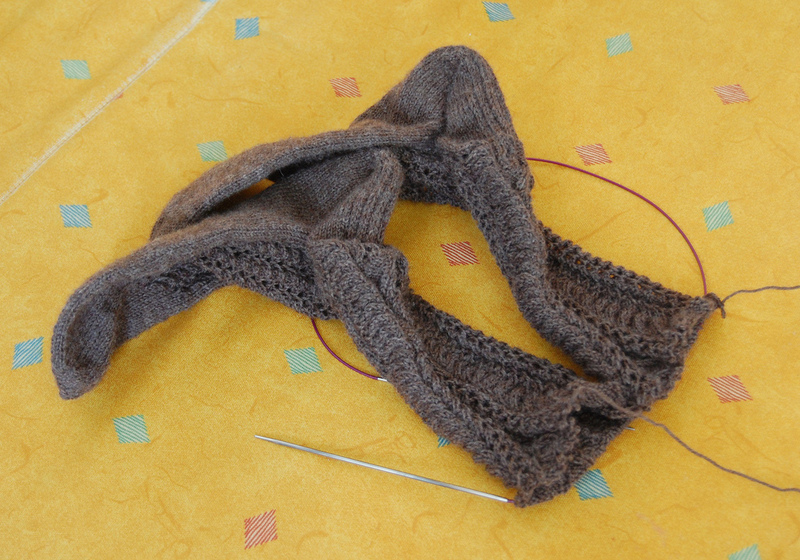 Also I could only make 4 cables to the front, which looked like it wasn’t enough at all. Frog. Next cast on and new stitch pattern, that one was lovely and matched the “little laciness, but not too lacy” idea I had in mind, BUT I frogged once more, because I didn’t like my toe, it was a bit too pointy (see above), I started with 6 sts per needle and increased until I had 48 total (I like to have the first few centimeters of my socks a bit tighter) and which would have been increased until I arrived at the heel. 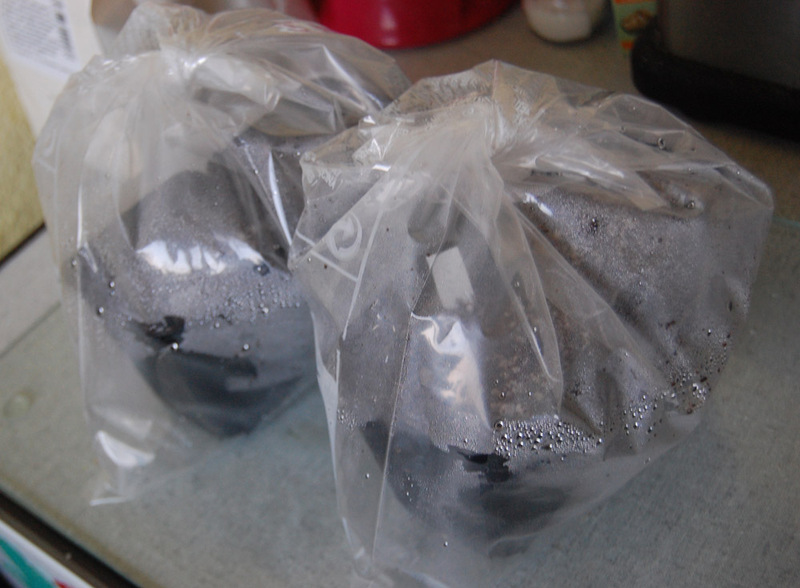 Yesterday I casted on again (see below), I think it’s the 5th time now (including the “I was a Bettie sock” thing). 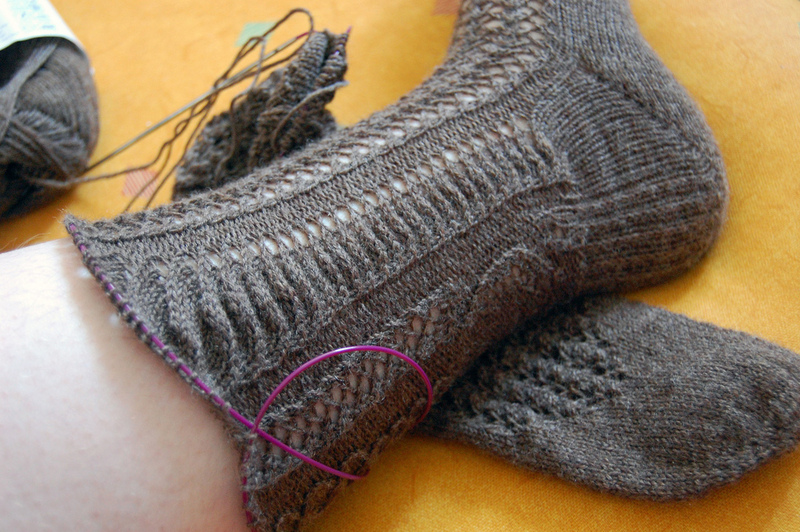 This time I started with 8 sts per needle and went up to 50 sts total (with the 48 sts I had one bordering stitch on the left side of the foot and two stitches on the right, and that felt awkward. 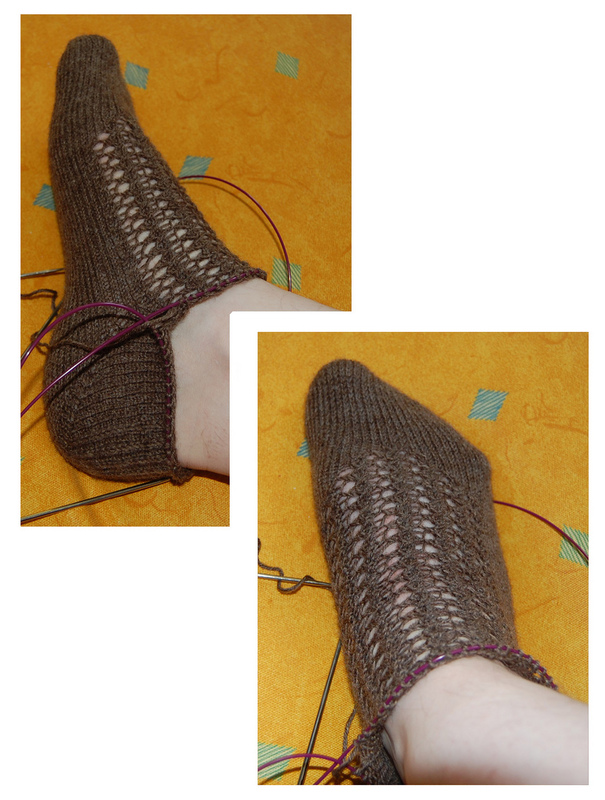 I also recharted my foot pattern from a “everything starts just bejond the toes” to a “let’s look at bit more elegant and grow into the stitch”, which means I start in the middle of the foot and spread the stitch pattern to both sides until it covers the whole foot top and therefore the front of the leg.